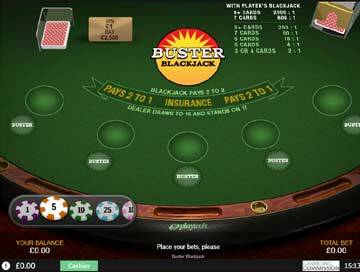 Blackjack is a fun, exciting card game played between a number of players (from 1 to 7, depending on the table) and a dealer. 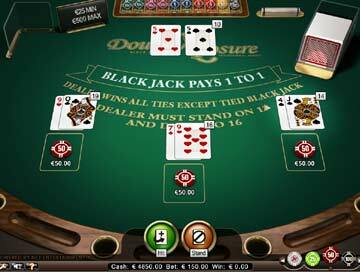 It's probably the most famous and popular of all table games in the casino, but can seem a little confusing until you understand the rules and the betting options. 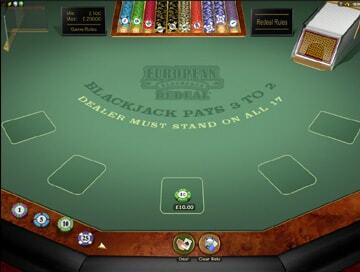 The aim of Blackjack is to beat the dealer by getting a points total higher than his / hers. To do this, you have to make decisions on the cards you're dealt. The options you have available to you are listed below. 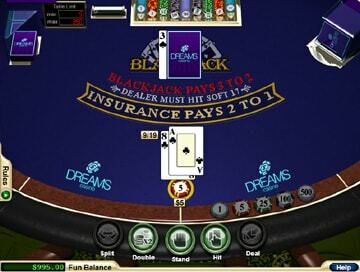 Blackjack is normally played with 8 identical packs of 52 standard cards each (416 cards). Each card has a point value indicated by its number - e.g. 4 of Diamonds = 4. The exceptions to this are that Jacks, Queens and Kings - all of which count as 10. Aces count as either 1 or 11. 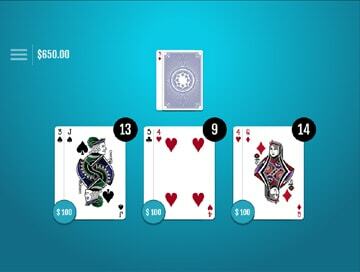 At the start of each round, you place your desired bet, then the dealer deals 2 cards to you and to himself. 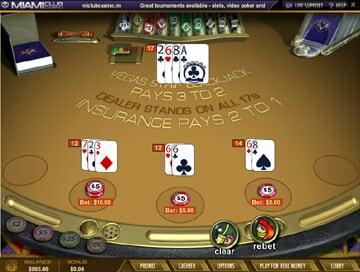 Both your cards are face up, but only one of the dealer's cards can be seen. you do not receive any more cards. you ask the dealer to give you another card. 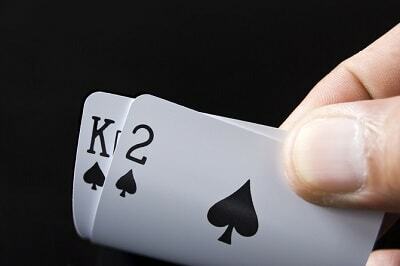 you double your bet and receive 1 more card only. if you have a pair, you can split it into 2 separate hands. fold your cards and lose your bet. 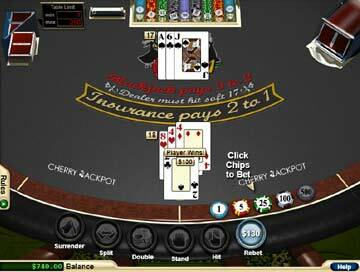 if the dealer is showing an Ace, you can insure against Blackjack. 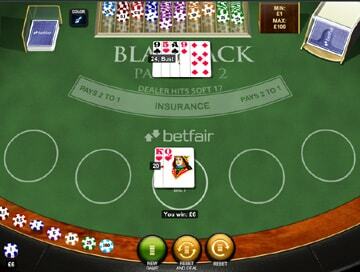 'Blackjack' is when you or the dealer have a points total of 21 from an Ace and a 10 value card. If, while hitting, your points total exceeds 21, you bust and your bet is lost. When you decide to stand, the dealer then reveals their hidden card (the 'hole card') and then either stands or hits until he reaches a points total of 17 or more. Often, in trying to reach 17, the dealer will bust. If you have a valid hand when they bust, you win. If you have busted before the dealer busts, you still lose! 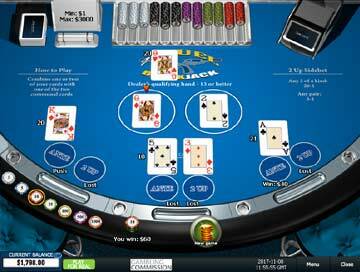 If you have Blackjack, you win 1.5 times the amount of your bet. If the dealer busts or your points total is higher than his, you win the same amount as your bet. If your hand has the same points total as the dealer, you get your bet back. If your hand is lower than the dealer's, you lose. 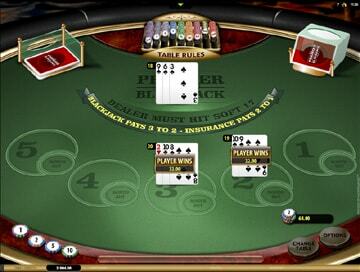 Casinos offer a multitude of Blackjack variations, each with a subtle twist on the standard game. 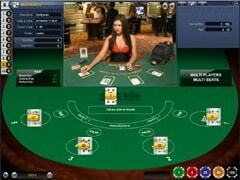 They have also introduced side bets, optional bets that can win even when the main hand loses! 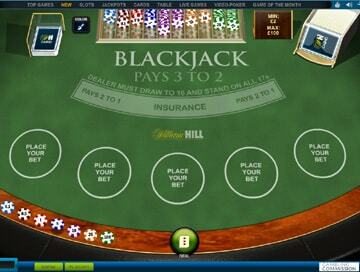 We've detailed all the major variations and side bets in this separate guide. Once you're familiar with the basic game, you can choose a variation that gives you exactly what you want! 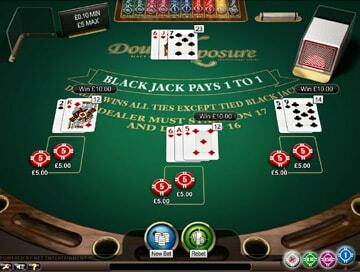 New Blackjack players often think that the object of the game is to get a points total as close to twenty one as possible. It isn't. To win at Blackjack, you just have to beat the dealer - and you can do this with a points total of nineteen, fifteen or even twelve.